Brussels might be my favorite town in Europe - what's yours? 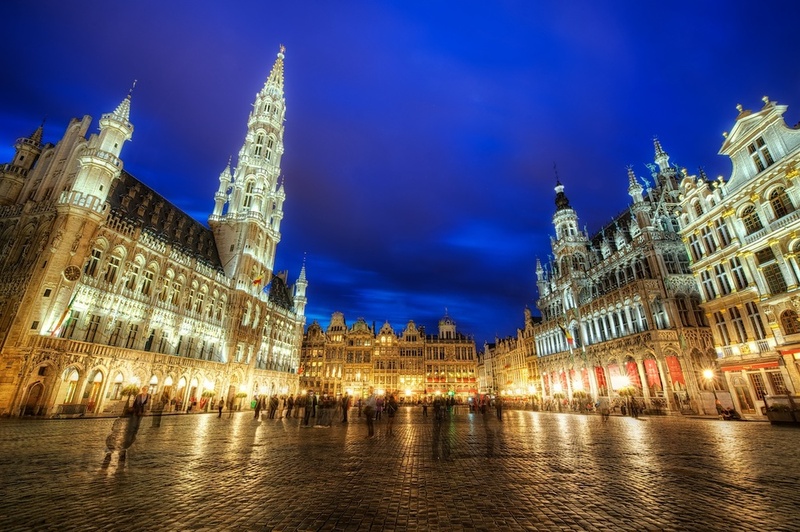 There is just SO much to love about Brussels, Belgium. It's an incredible city full of beautiful architecture, delectable chocolate, and more beer choices than you can shake an empty glass at. It really is fabulous, and I am thrilled that I got to visit there recently. I grabbed this super wide angle view of it one evening. I had been shooting, then got rained on and waited out the rain while sipping a beer in a nearby bar. Once the rain stopped, it was full on into blue hour and I ventured the 100 feet or so to this spot to grab this shot. There's really no way (unless you can get above Grand Place I guess) to get a full shot of the square, as it is pretty tight in there and that main building seriously rises into the sky. But I can say that thus far, this shot is the one I have that does the best job of showing you the square. I hope I get to go back and try again some other time!